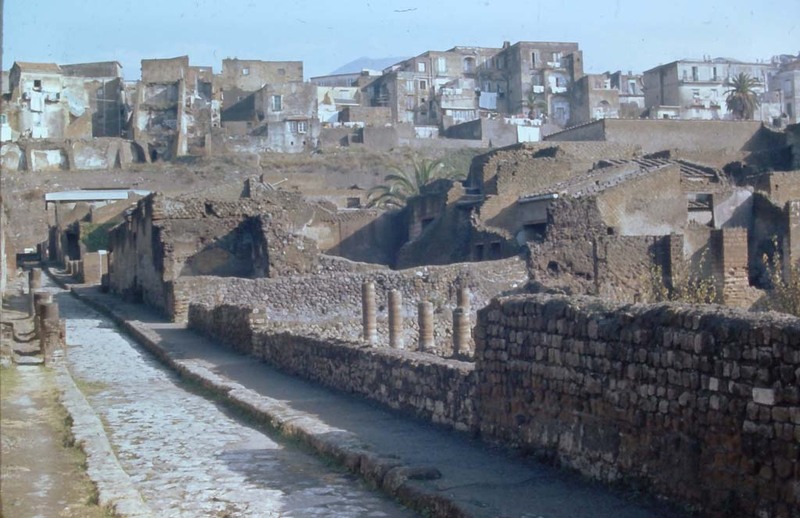 Herculaneum III.2. Area, with rear room, linked to III.1, 18 and 19. 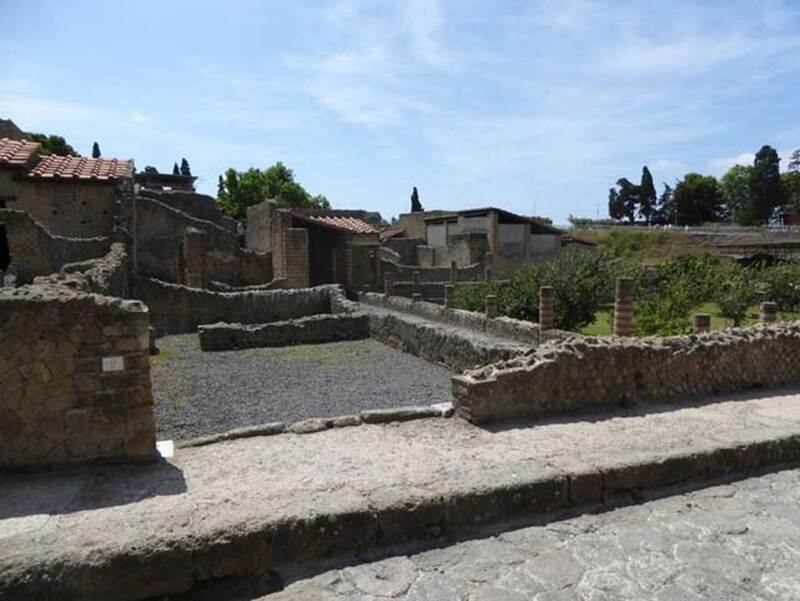 III.2 Herculaneum, September 2015. Looking towards entrance doorway on east side of Cardo III Inferiore. 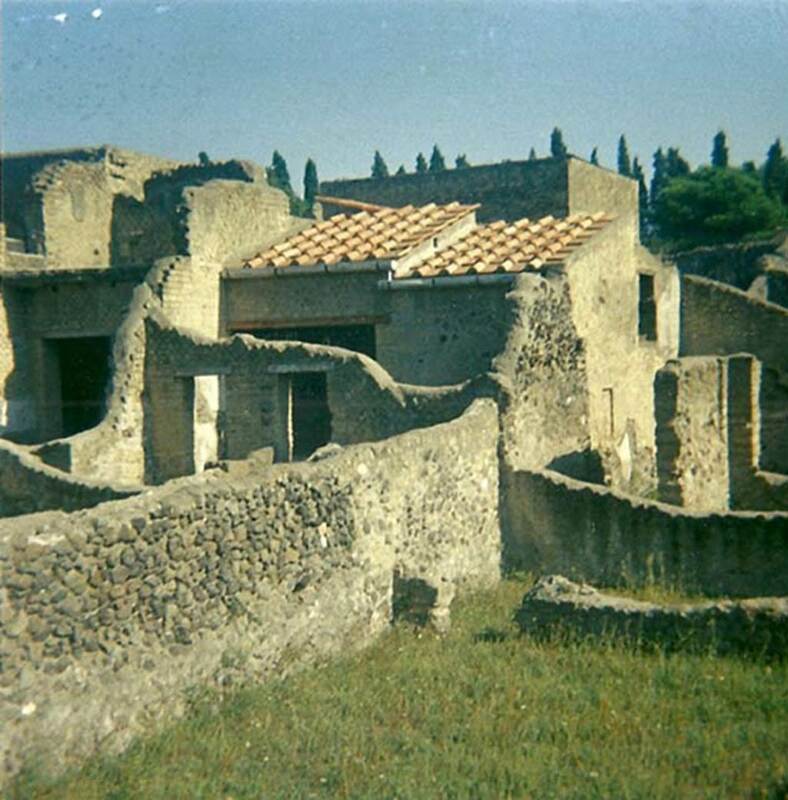 III.2 Herculaneum, 1978. Looking north-east across area and doorway to rear room, centre right. In the upper left, are rooms belonging to the south end of III.3, House of the Skeleton. Photo courtesy of Roberta Falanelli. III.2 Herculaneum, April 2016. Looking south from rear room, across peristyle garden. Photo courtesy of Michael Binns.